Maybe you can recall Cate Le Bon's role in NEON NEON's single 'I Lust You,' which Ray previously posted, but behold her debut album Me Oh My. Sure it might have taken some time to complete, but when Super Furry Animal's Gruff Rhys is backing you up with a label basically dedicated to you, there's time to spare for a deserving musician. 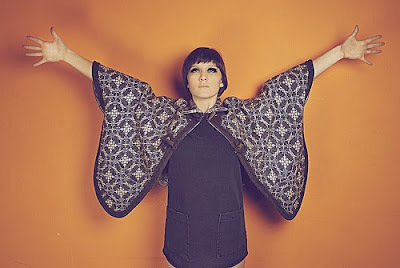 There's something adorning when you know a musician, like Cate Le Bon, writes her music in the dark, is a woman who may carry flattering comparisons, but is a woman who can still hold her own. What I'm trying to get at is basically, when anyone who listens to your album, compares you to the great idols, songs, and albums of the past, you're probably what we need in the now.